You WILL want to use WP3D Models Wordpress plugin - which needs to run on Wordpress. While you can create the rest of your site in something else, except your Gallery (Wordpress), you'll be happier if your entire site is in Wordpress. We Get Around is a mix of Wordpress, Squarespace and something else. @RichardByers Why not host your own Wordpress site? I have found Wordpress quite easy and straightforward to use. Lots of plug-ins to use to create something special. Sounds good, how easy is it to host? Thanks. I'm hosting with a local hosting company, and they have most support already built into the "package", so I just installed Wordpress into my "domain-site" and got a theme from the wordpress website and then started to build my site. Can also log into the server side via C-panel software. When you choose a hosting site you can ask them to do some of the steps for you, if needed. Ah ok, yes I use a company called Go Daddy who have their own hosting monthly paid service with Wordpress and c panel so might go with that. Do I need SEO? 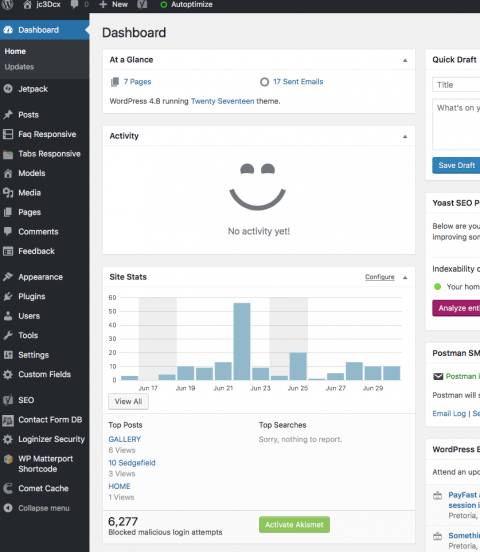 I've used wordpress for years and I wasn't even aware they provided hosting as well... It's super easy to install wordpress on your own domain though. I am using bhosted in the Netherlands for all of my hosting needs. Hi all, Ross here from WP3D Models...jumping in to assist if anyone has any specific WordPress hosting questions/etc. One important thing to note re: using WordPress is that you'll almost certainly want to be using WordPress.ORG vs WordPress.COM. The "ORG" flavor is used by each/every hosting company mentioned in this thread (and many more) and allows for the installation of 3rd party plugins (like WP3D Models!). 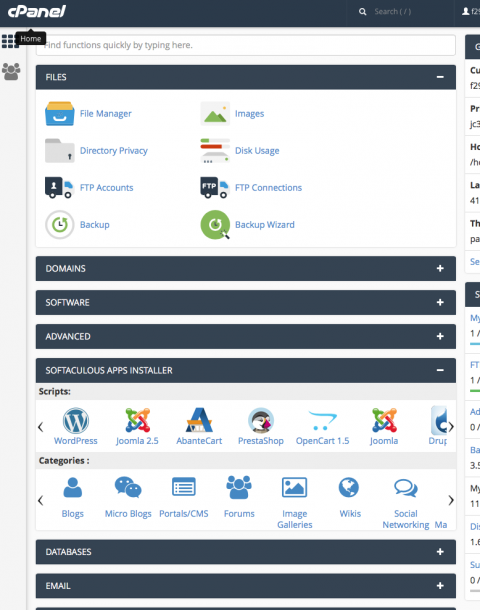 This is very different hosting product than what is offered at WordPress.COM and can sometimes create confusion. WordPress.COM is a solution that offers packaged WordPress hosting but does NOT allow for 3rd Party plugins/themes to be installed. Matterport Service Providers will definitely want to use the .ORG flavor of WordPress to be sure they have the most flexibility with how their sites are able to be built out.